The one word that players like Kyle Guy, Ty Jerome and Jack Salt worked so hard to avoid. They didn’t say it. They didn’t think about it. But they couldn’t avoid it. And even days later, I still can’t quite believe the enormity of what this team accomplished. The Virginia Cavaliers now openly say they had the worst loss in NCAA History. Whatever stages of grief they had conquered to get to this point, well, that’s all in the past now. The loss to UMBC in the 2017 NCAA will always be a part of Virginia’s history. But it no longer has to haunt them. As the Cavaliers kept winning, each game more dramatic than the last, their fan base kept growing as well. The appeal of the NCAA tournament is contingent on underdog storylines. It also thrives on its champion overcoming adversity along the way before achieving greatness. In many ways, the 2018 NCAA tournament was unique. Not only did we have UMBC advancing as the 16th seed, we also saw the 11th seed Loyola-Chicago advance to the Final Four. We also saw the Villanova Wildcats storm through their conference tournament and dominate all opponents en route to their second NCAA Championship in three years. 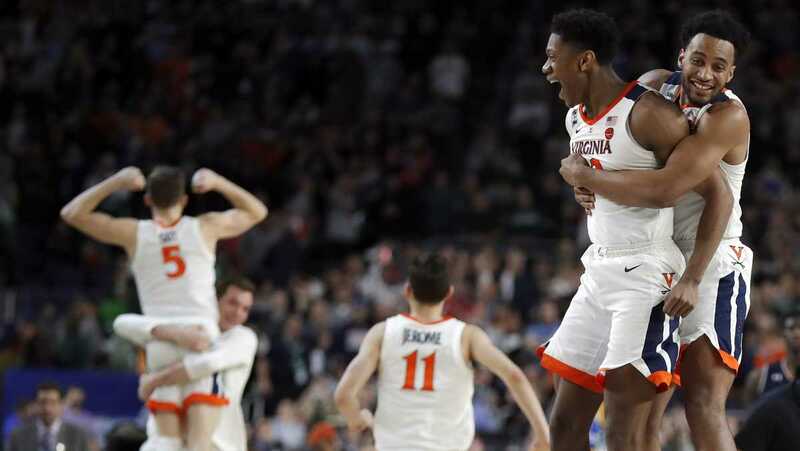 In many ways, 2018 may have been somewhat of an anomaly, but I can’t imagine ever seeing a tournament run quite like Virginia’s path to cutting down the nets. It all started with overcoming a 14-point deficit to Gardner Webb. Then, in the second round, they thoroughly outplayed a red-hot Oklahoma Sooners squad. What a difference a couple of days made for the Cavaliers. They found themselves fending off deja vu inquiries and fielding questions on payback and vindication. But, as stated earlier, the team was not ready to have that conversation. At the regionals, they out battled a tough Oregon Ducks team to secure a spot in the Elite Eight. Of course, the doubters would point out that 12th seeded Oregon only reached the regional semifinal round by defeating 13th seeded UC Irvine. However, and to borrow a line from Disney Jr., this is where the magic begins. Yes, they came back from a deficit in the final five minutes against Oregon, but that’s nothing. For their next three games, they trailed in the closing seconds and miraculously pulled out victories in the most perilous of situations. It started with Mamadi Diakite’s buzzer beating, flip of the wrist baseline ten-footer, to Kyle Guy’s three clutch free throws and critical long range jumper and De’Andre Hunter’s exquisite performance in the finale. All the while, Ty Jerome was sensational in making certain these late game deficits were never insurmountable. It most certainly is, coach.